After a fantastic semi-final round in Mumbai and New Delhi, three photographers and three filmmakers went on to the next round. 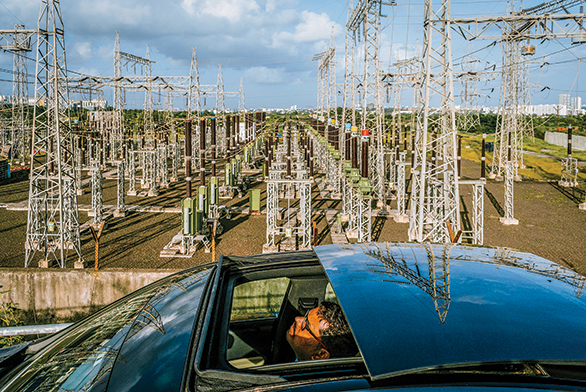 The judging panel comprised of photographers Swapan Parekh, Prashant Godbole, Amit Ashar, Shantanu Sheorey and OVERDRIVE Editor-in-Chief Bertrand D'souza. 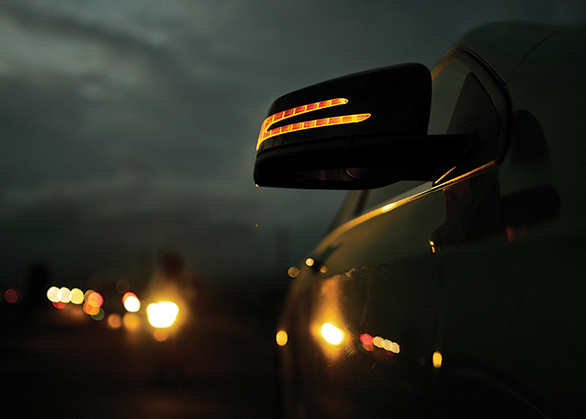 At stake was a Mercedes-Benz car for the photography winner and an international driving experience for the filmmaking counterpart. 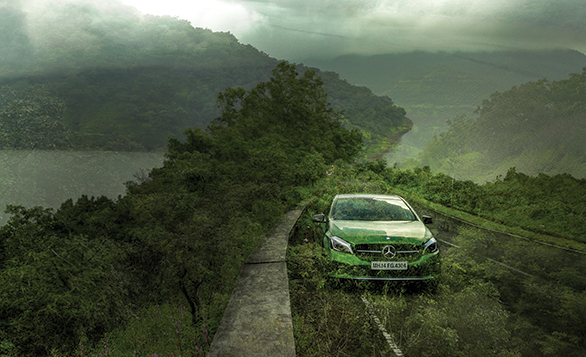 With a brief to visualise the Mercedes-Benz philosophy 'The best or nothing', the six finalists set out in the varied terrain that Pune has. The final photographs and videos that emerged after two days of shooting were judged by Amit Ashar for their clarity, creativity and performance under the given circumstances. Hillol practises street photography as a passionate hobby. 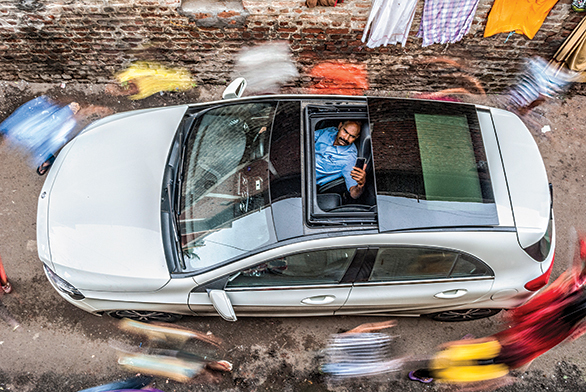 He takes time out from his regular schedule to shoot the vibrant streets of India. He too became a part of Frame the Star via the online competition. Coming from an aesthetic that is steeped in street photography and in reacting instinctively to moments, Hillol went beyond his usual approach in the competition. His frames were carefully composed, studied and planned but with the immediateness that would make them look unplanned. He was not documenting reality, but using his understanding of it in trying to recreate it. 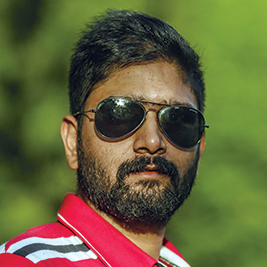 Based in Delhi, Anindito began his career in advertising, but moved on to pursue his passion for photojournalism. His philosophy when it comes to shooting is to always look for more. Anindito was invited by BP to be a part of the competition. 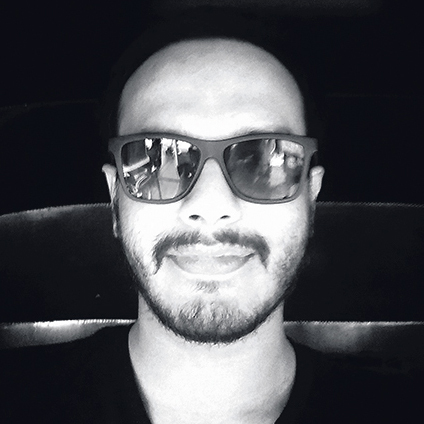 Anindito's background in advertising and photojournalism helped him keep it simple. In his own words, "I am used to making photographs that are minimal. Which is what I did with the car too. I took the approach I know best and made pictures just the way I shoot daily life." 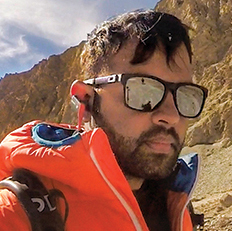 A former engineer, Dhruv realised his passion for photography after he took it up as a hobby. 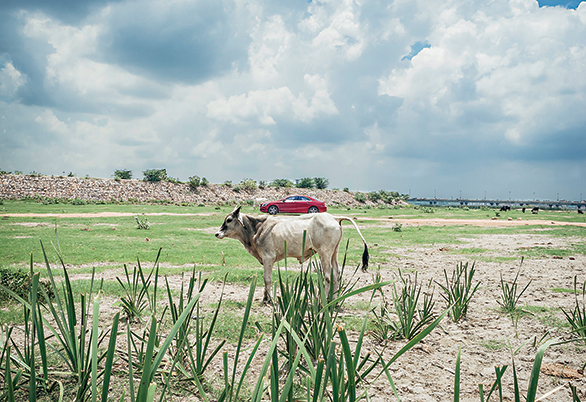 Residing in Ahmedabad, he is a part of the That's Life photo collective. He became a part of Frame the Star via the online competition. 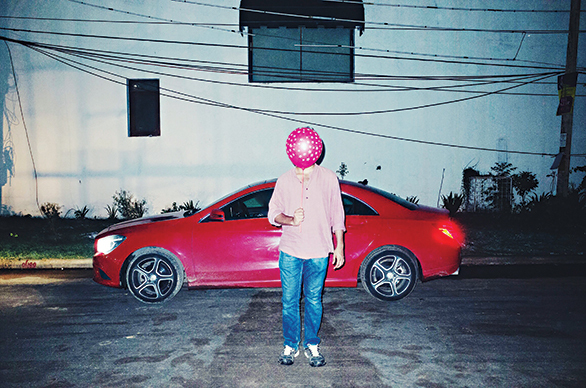 Dhruv's idiosyncratic way of seeing the car within the mundaneness of regular city life, but usually, with one subject or prop that would take one by surprise. Armed with a small Ricoh GR, he instinctively found naturally occurring patterns and brought out an interesting repetition of elements through his visuals. "With a competition like this, it is important to push oneself. There is so much that has already been done with the visual language that setting yourself apart becomes a challenge in itself. The contestants this time produced a fairly interesting set of visuals in that respect." 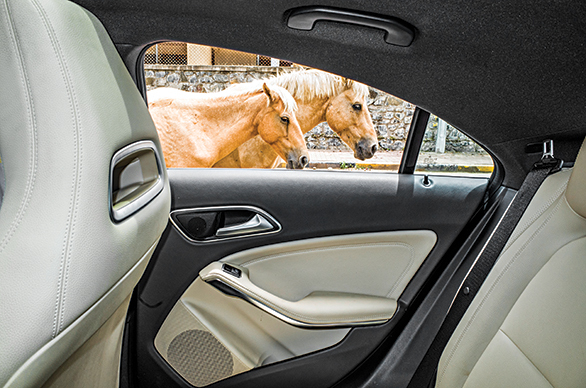 "The challenges and opportunities of shooting in the city are tremendous with a good-looking car in an extremely busy environment... there is so much one can do. 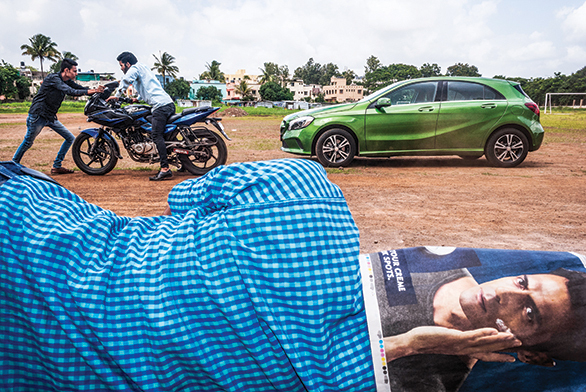 Having worked in automobile journalism for so many years, I was looking for someone who looks at cars innovatively. What also excited me, as someone who also dabbles in video, was the debut of a filmmaking category, which is the future for many in the creative fields." "The greenery that I experienced during the finals in Pune is something that I sorely miss in my hometown Delhi. So I wanted to blend the car seamlessly with the natural environment around the city. Winning the competition with this approach was incredible. I'm excited and encouraged! When behind the viewfinder, I believe anything done with honesty and simplicity is in itself a reward." Hardik Patel has been working in advertising for over a decade now. 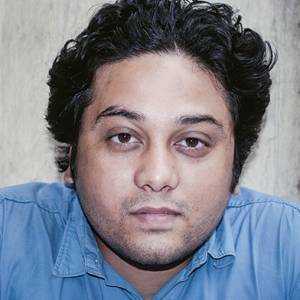 The Mumbai-based filmmaker describes himself as 'a wandering nomad whose celluloid strip is lost in the digital generation'.He was invited by BP to be a part of Frame the Star. 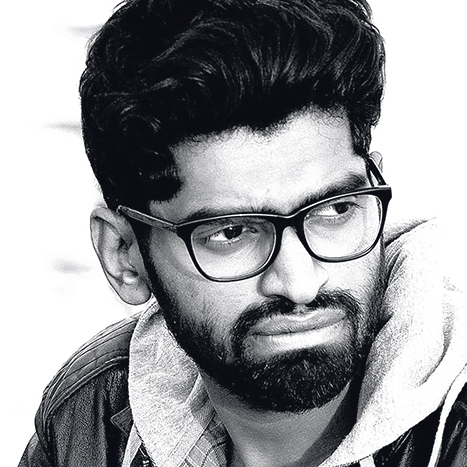 A Mumbai-based filmmaker, Sahil creates ad films. He also runs a wedding photography and filmmaking company. He enjoys travelling and shooting with a GoPro mounted on his dog Simba. He too was invited to compete in Frame the Star by BP. 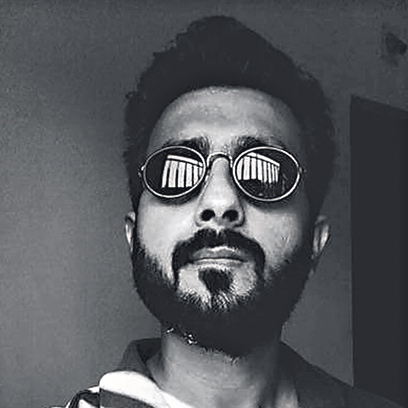 Sangit is a Delhi-based photographer and filmmaker whose foray into photography began at the age of 20 with a love for portraits. He describes himself as a moody dreamer. He became a part of Frame the Star via the online competition. "For the finals, I wanted to shoot a strong concept as opposed to a slick-looking montage of the beautiful car. 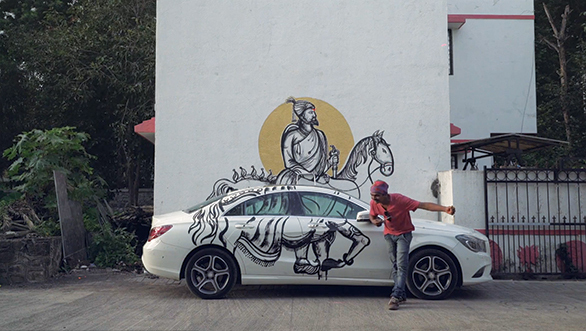 I shot artist Nilesh continuing his mural - of Shivaji on his horse - from the wall uninterrupted on to the car. This was my way of paying homage to his art and a symbol of the city of Pune. 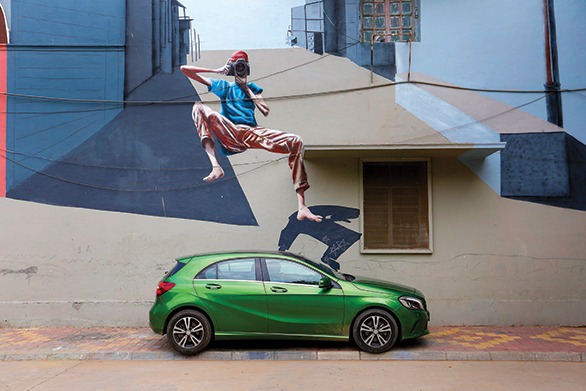 My aim was to shoot the Mercedes-Benz in a different way and it paid off." 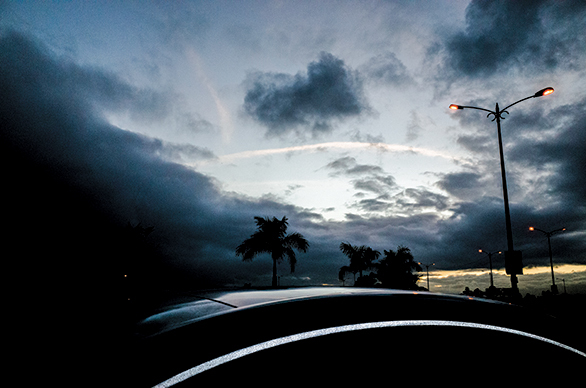 "With Anindito's images, there was a freshness in the way he saw. 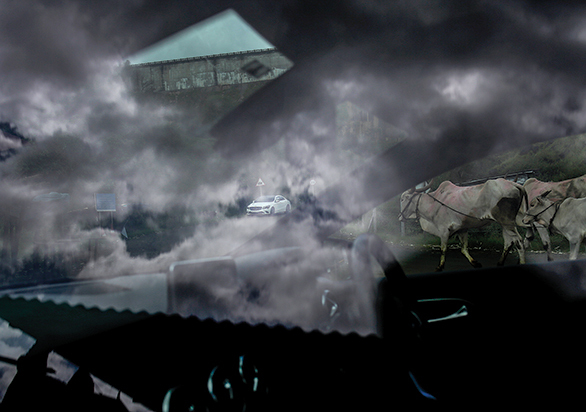 His double exposures were used thoughtfully, and the car was the centre of attention and photographed beautifully. Sahil's video was very strong on concept, and the way he brought in the car towards the end of the film was just lovely. It was a very interesting round to judge."